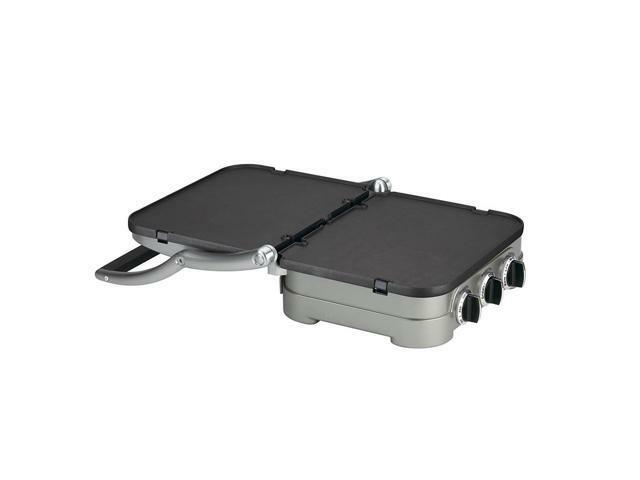 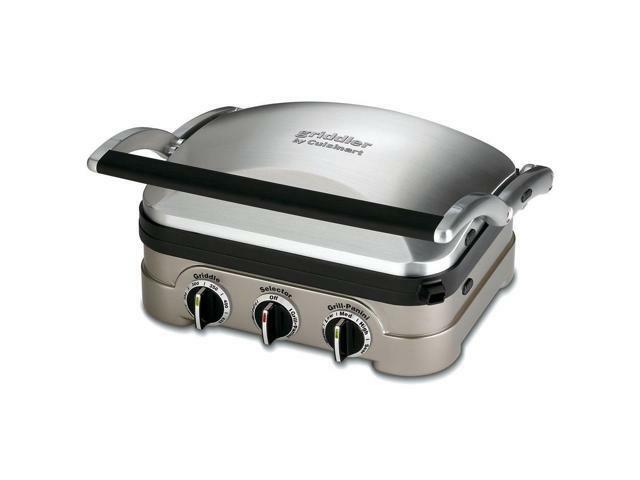 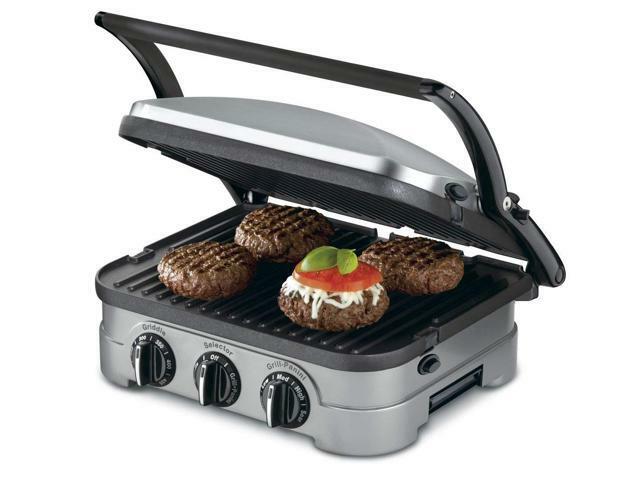 Compact in size but big in features, the Cuisinart Multifunctional Gourmet Griddler offers five-in-one functionality as a contact grill, panini press, full grill, full griddle, and half grill/half griddle. The stylish brushed stainless-steel housing looks sleek and modern and features a wide panini-style handle and a hinged floating cover that adjusts to various food thicknesses. 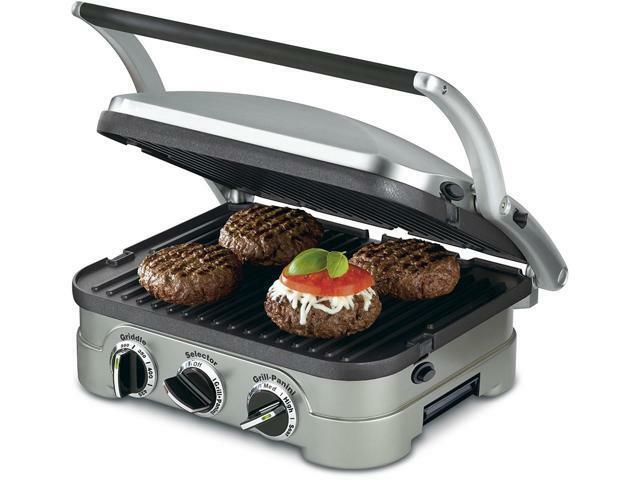 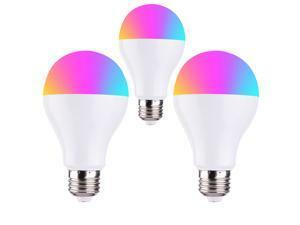 On the base, two temperature controls and a function selector are clearly marked and have indicator lights for quick reference and accurate, no-guesswork operation. 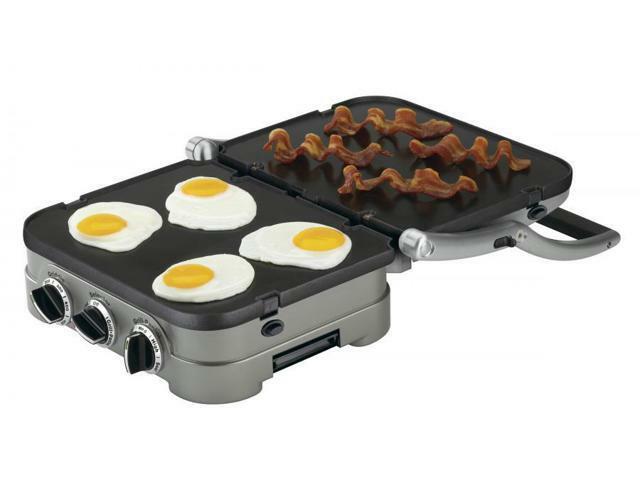 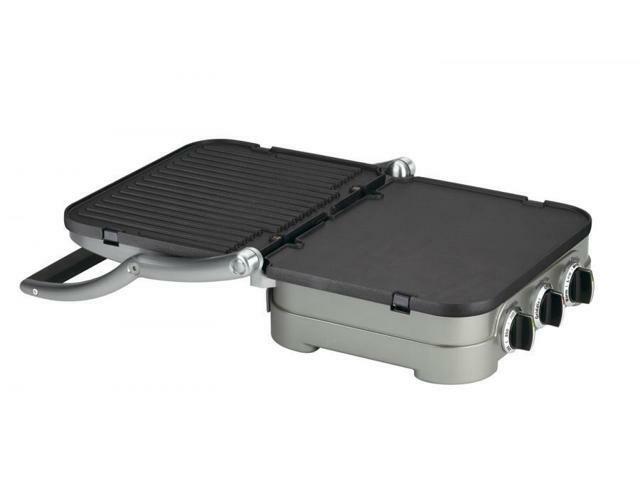 Open the cover and customize the cooking surface with removable and reversible nonstick grill and griddle plates that snap in and out easily and drain grease to an integrated drip tray for healthier cooking.